A. My name is Meredith, and I'm a fairly recent North Carolinian transplant. I've spent time living in Virginia and Texas, and now I'm following my (future) husband as he pursues college baseball coaching dreams. In the past three years or so, I've developed a passion for reducing my individual trash footprint. I've always had a latent appreciation for our Earth and environment, but a fatalistic attitude about its steady degradation... It wasn't until stumbling upon the zero waste movement that I found a way to put my values into daily, positive action. 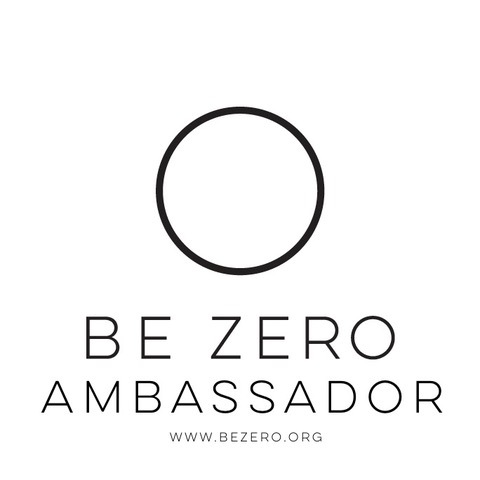 Be Zero's mission: "To inspire, educate, and activate individuals to dramatically reduce their individual plastic and trash footprint and to create simple and sustainable lifestyle habits." My work is community building. I share with local Greensboro residents the foundations and benefits of a "circular mindset," and resources to live with less trash specific to our community. Where to shop in bulk, where to buy second hand, where to find fun activities, volunteer opportunities, educational experiences related to low waste living, etc. 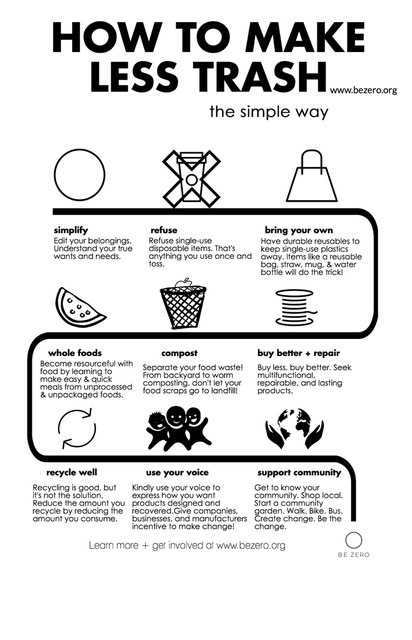 My goal is to create an approachable and inclusive environment to explore our consumption and waste. A. I'm participating in the spring HAND-to-HAND Market at Revolution Mill, representing Be Zero. I'll have a booth and will be sharing with makers and buyers alike how to make less trash. I'm excited and a bit nervous, this will be my largest audience yet! A. I declared my by-when (deadline) to shift careers. I've reached a point in my life where I want my daily work to be more aligned with my ethos. I committed to myself, my family, and my friends that by November 1st, 2018 I will be on a career track within sustainability/low waste living. Declaring this felt, and still feels, daunting. Right now I have no idea what shape this track will take. I'm focusing on the when, and trusting the how will steadily reveal itself the more I explore and put myself out there. A. Yes, and no. I've dipped my toe into the work I most want to be doing through Be Zero. It's been a slow build over the past year, and I'm just starting to get some traction within the Greensboro community. I'd love to do it on a larger scale. The biggest thing that holds me back: lack of professional experience and formal education within sustainability work. I have no background aside from my personal experiences over the past few years. This leads to some self-doubt. Who am I to build a platform and proselytize? Who will consider me "legitimate?" I know this stems from a fear of rejection and being wrong. It's something I'm working through while learning to recognize the inherent value in my personal experiences, and exploring my options for further education. A. You'll never reach a point where you have life "figured out" - so save yourself some valuable energy and stop trying. The process IS the point. The journey IS the end result. The sooner you realize that, the sooner you can start your real work. Also, do more yoga. I ascribe to the Ashtanga Yoga Method. My teachers always reiterate that Ashtanga is 99% practice, 1% theory. The practice is your biggest teacher. Only daily devotion and discipline, for years and years, will lead to enlightenment. Basically, there is no quick fix. I've been able to apply this lesson to literally every aspect of my life. A. I find a vast amount of inspiration from the zero waste community on Instagram. Social media is one of my main platforms for reaching the community. To keep it uplifting and productive, I've curated my feed to only what inspires me. Scrolling gives me motivation. A. Marichyasana A - the initial shoulder crack&opening when doing the bind is so satisfying! Plus, I'm still hanging on to a certain amount of pride from the first time I was able to do the bind unassisted. A. I've embraced my quirkiness, my weird, and all other aspects of my varied personality. This allows me to create the habits and practices that best serve ME, and drop any expectation of what I should be doing. Abundance can look like a regular routine, a quiet night in, and eight hours of sleep! Get your FREE "2017 Year in Review workbook" by signing up for our weekly newsletter that includes, Wise Women Wednesday interviews, Yoga videos, guided Meditations, and Musings on Life.